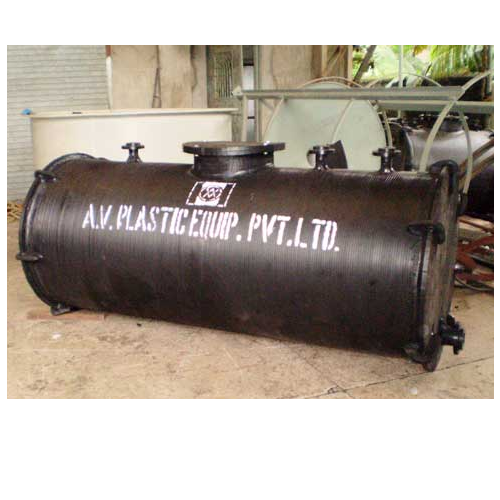 We also manufacture and supply Fabricated tanks using premium Quality. Our entire range is widely used to store highly corrosive chemicals, process chemicals at high temp, serve pickling and other process applications. Leveraging on our vast industrial experience and technical excellence of over 20 years, we have earned an enviable position in the field of manufacturing optimum quality industrial process equipments as per customer requirement. Our range of industrial process equipment under the brand name "Spirall" have been categorized as Storage tanks, Industrial vessels, Chemical Reaction vessels, Scrubbers, Agitators, Fume absorbers, Nutch filters, ETP and other lined equipments. We have the ability to customise these products to suit our client requirements. The entire range undergoes stringent quality tests so that they conform to various international standards. In addition, we also provide test certificates for each of our equipments to ensure that they are flawless. Further, we provide customized solutions to our clients and also offer one year guarantee for our range of process equipments.